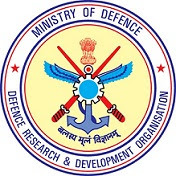 Defense Research and Development Organization Recruitment – Defense Research and Development Organization Recruitment launch job notification 12 vacant posts of Research Fellow (JRF). Applications for recruitment of 12 vacant posts of Junior Research Fellow (JRF) in Defense Research and Development Organization (DRDO), Advanced Systems Laboratory, Hyderabad have been invited. Interested candidates can apply before the final date by reading the given instructions. The last date for application is 18 November 2018. EDUCATIONAL QUALIFICATIONS – A recognized university BE / B.Tech degree. How to apply – The last date for receipt of application is 18 November 2018. Candidate for detailed notification and other information. Employment News paper 3 – 9 November 2018 Page No. 40 See. Apply soon – 12 vacant posts of Junior Research Fellow (JRF) in Defense Research and Development Organization (DRDO), Advanced Systems Laboratory, Hyderabad have been invited. DRDO works under Department of Defence Research and Development of Ministry of Defence. DRDO dedicatedly working towards enhancing self-reliance in Defence Systems and undertakes design & development leading to production of world class weapon systems and equipment in accordance with the expressed needs and the qualitative requirements laid down by the three services.